Within 5 days of release in the US, PokemonGO surpassed Twitter, Snapchat and Instagram in terms of the number of users. It is an enormous sensation and, as with all trending sensations, businesses immediately look for ways to capitalise and utilise it to their ends. But what is it and how can business take advantage? PokemonGo is a game based in augmented reality. Basically, augmented reality is where an app takes your real-world surroundings and adds multimedia artefacts to it. For example, when Paramount Pictures celebrated their 100th anniversary they released some augmented reality DVD covers for top films like Gladiator. Viewers needed to download the official Paramount app and when they pointed the camera on their smartphone to the cover it would come to life before your eyes. Augmented reality has also been used for adverts on the side of bus stops, but again you needed to download a specific app for this. This was a drawback of augmented reality, there was no one app that would host all the content. 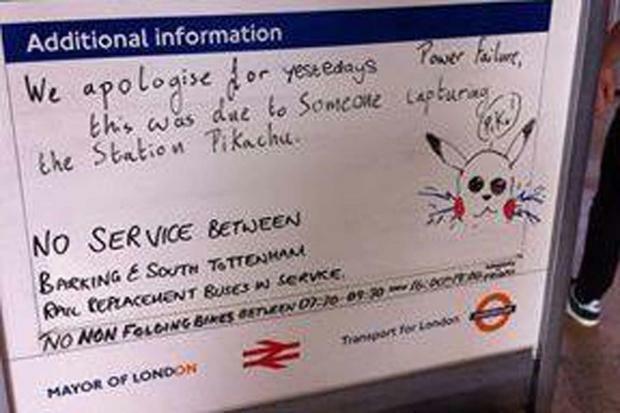 PokemonGO is no different in this regard, but it does mark a significant step forward in the technology. It is by far the largest augmented reality tool on the market. It uses augmented reality to place items (‘wild Pokemon’ avatars) in your local area and what you need to do is find them. 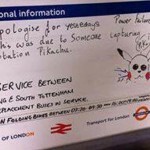 It may be at a local train station, playground, café or even just outside your house. 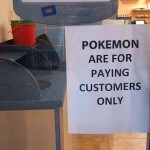 How are business taking advantage of this? The first rule has to be to embrace it. Some people may see the idea of chasing imaginary monsters around on your phone as a nonsense, but if you wish to use it for your own devices then you need to embrace it. Download the game (it’s free) and familiarise yourself with its features. Doing this will also allow you to see if there are any wild Pokemon, Pokestops or gyms nearby for you to take advantage of. Another good way to take advantage of this craze would be to come up with a unique promotion, like this one from T-Mobile in the US. 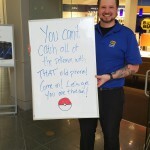 T-Mobile recognised that the Pokemon go game relies on the player being connected to the internet and on some contracts and plans data can be expensive. T-Mobile decided it would give its customers an incentive to stay with them rather than search for a ‘better’ data plan by offering them unlimited Pokemon Go data for a whole year. This means that any data used through that one particular app would not go against their monthly data allowance. They also gave away ‘Pokecoins’ to a number of selected customers and some lucky customers will win a Pokemon ‘hunting’ trip with a friend. It’s really rather clever. As the game is usually played by younger generations it will also foster a sense of loyalty to the provider which could prove to be invaluable. 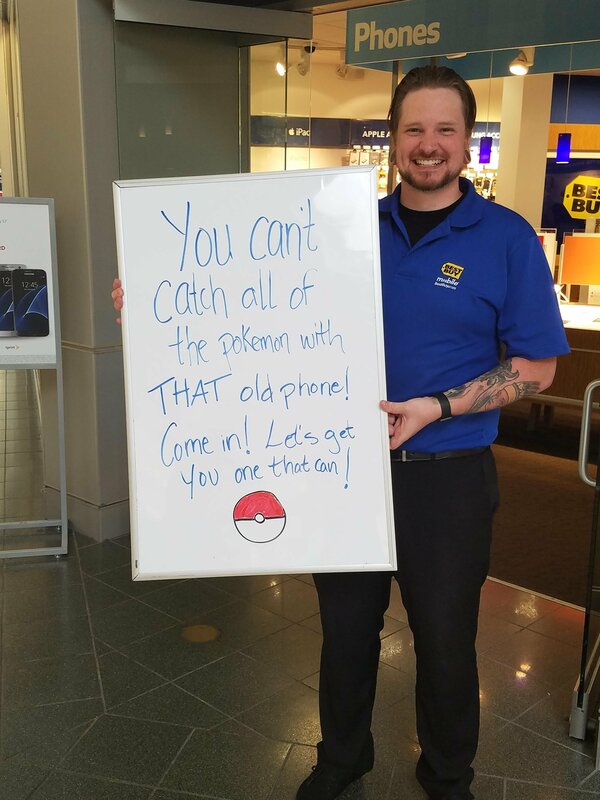 Now, before you run to your local vendor and change your contract to T-Mobile, it’s important I mention that this is in the United States and as far as I am aware this has not yet been introduced to the UK or anywhere else, nor do I know if it will be at all. 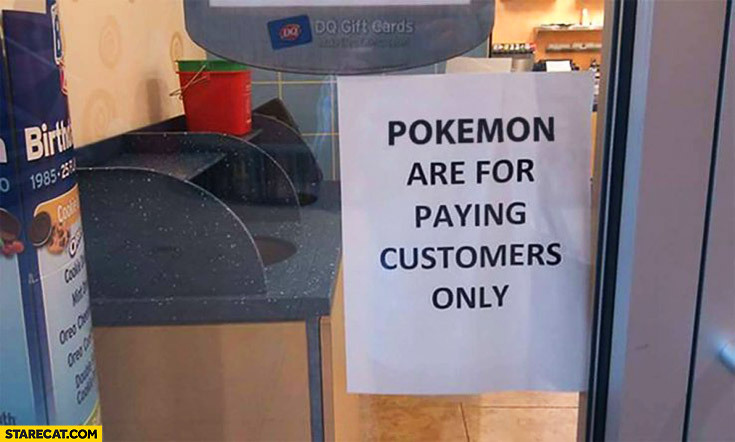 Another way to use Pokemon Go for your own ends, is to keep nearby ‘Pokestops’ attracting people. 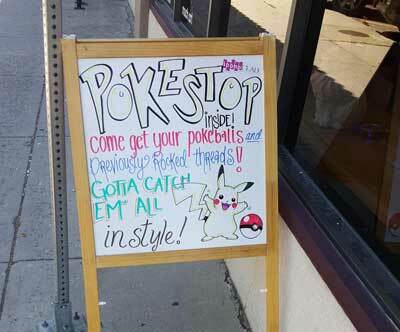 A ‘Pokestop’ is a station you visit to replenish certain essential items needed to be successful in the game. 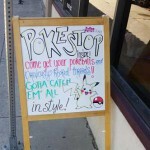 If your business is lucky enough to have a ‘Pokestop’ on its doorstep, a good way to keep people visiting is to add a ‘lure’ to attract local Pokemon to the local area and therefore brings in more players. A great feature about these stations is they regularly refresh, meaning players may stick around in your shop or café longer to restock their supplies more. Outside of the game itself, there are also great ways to build your brand and reputation in the community by supporting players who pass by your business. Set up your own ‘Pokestop’ for human players by offering free wifi, water or a place to rest while players continue their quest. This works best for small businesses such as independent cafes, shops and other walk-in locations. Maybe organise a Pokemon Go party, hunting expedition or sell maps of local locations of interest. 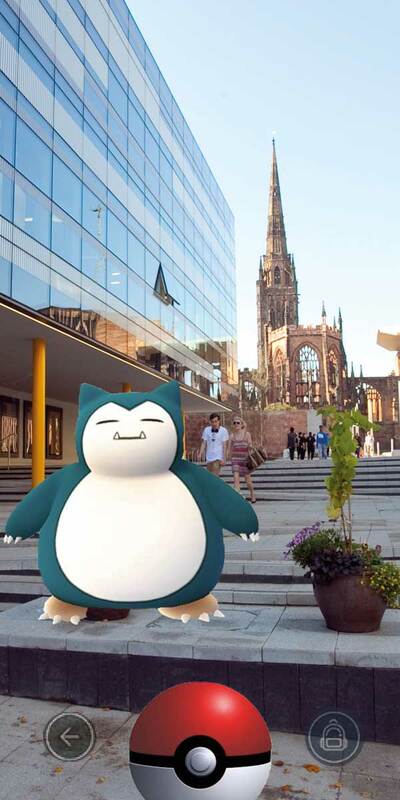 If you’ve got a great idea for how business can take advantage of the Pokemon Go craze or if you’d like some more inspiration for how your business could do more to get involved why not let us know either in the comments below or on social media: @covuni_business.